Learn how to begin the course creation process and how to build and organize content to offer to your users. Product Blueprints are helping users in a large spectrum of experience to build courses simply and quickly! Click on the Product tab to get started. Check out our Products Guide for a more in-depth walkthrough! Similar to an Online Course, except you can slowly release premade content over time to your members. Totally customizable blank template for you to build your course. 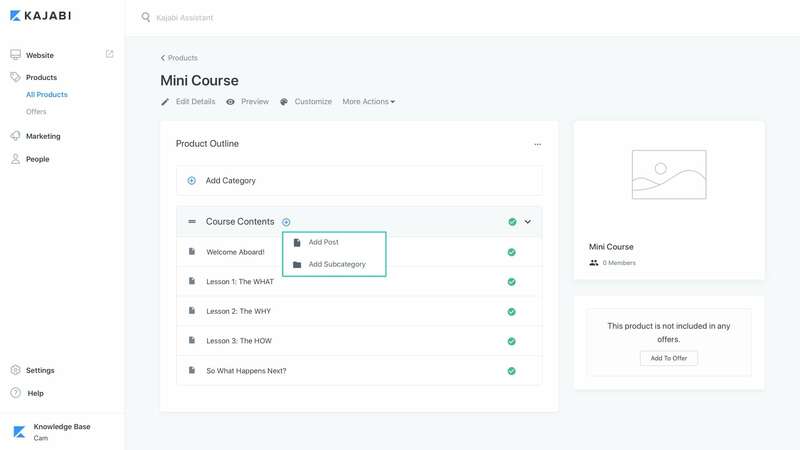 The Product Blueprint will automatically create relevant Categories and Posts to go along with the theme of the Blueprint as well as organize and order all of the components for you! Check out our overview of Posts and Categories here. From your dashboard click on the Products tab. Hover over a Product and click the .